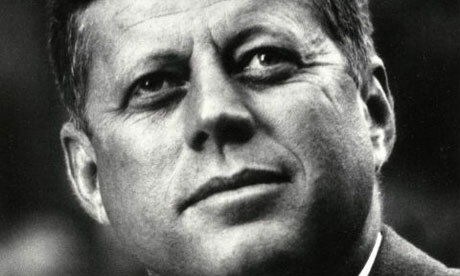 November 22 marks the 50th anniversary of the passing of President John F. Kennedy. It also marks five decades of rumors, conspiracy chatter, lone gunman theories, CIA plots, a possible Fidel Castro’s role, Mafia involvement, and all kinds of wild accusations. We may never know exactly what forces and motivations were behind his assassination, but one thing we do know is that the book publishing industry will continue to publish and promote books that often contradict each other, hoping to inform the public of its slice of truth – and earn a buck in the process. Publishers follow the calendar: Diet and personal finance books for January; sports books in March, BBQ books for May, etc. Where some publishers can be counted on to release seasonal or and annual books in time for the holidays or to honor something festive like Valentine’s Day, it seems every publisher has released a book in November to capitalize on the tie-in to JFK’s death. It is one of the singular most significant moments in recent history – and it seems the publishing world wants everyone to know about it. But is the potential customer base shrinking for such books, given the number of people who still remember the events of 1963 is declining by thousands every day? Further, given the voluminous number of works already published on the topic, written from every conceivable perspective, are there any new theories or pieces of evidence not yet presented to the American public? Then again, we still discuss Lincoln’s assassination though it seems we talk more of his presidency than his tragic death. 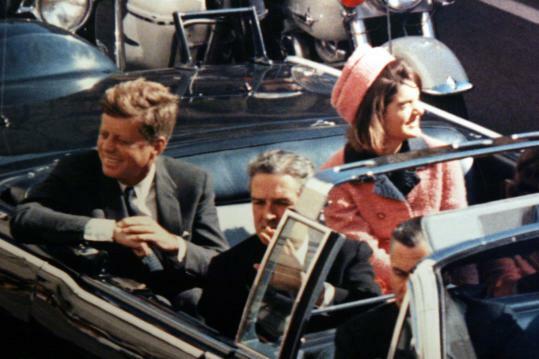 With JFK, it seems we think first of his death, Marilyn Monroe and Jackie —then his speeches — and eventually his deeds. The Kennedy family has been a great story for newspapers, book publishers, magazines, Hollywood, television, and digital news outlets. The Kennedy name sells more books and newspapers than anyone in recent memory. The speculation industry is alive and well. I grew up in the aftermath of Kennedy’s assassination, born a little over three years after the final gunshot was fired in Dallas. But my first experience with the Kennedy assassination book club was at my first job with a small publisher, Shapolsky Publishers. They published the hardcover version of Contract on America, a book that made the New York Times best-seller list. It talked about the role of the Mafia in the assassination. That was 1989 — and nearly a quarter century later, thousands of books have been published on the subject. There’s universal disagreement on the forces behind the shooting. Was Cuba behind it? The Mafia? The CIA? There’s disagreement as to whether there was a second gunman. There’s disagreement as to whether Lee Harvey Oswald’s fired bullet was the one that actually killed him. The government’s Warren Commission tried to set the record straight in the early 1960’s; however, sealed documents may hold the real truth, but they won’t get released for a few more years. I recently promoted two Kennedy assassination books from the same publisher at the same time — and they each contradicted one another, but each seemed sure of the conclusion put forward. I can see why the Kennedy assassination intrigues us. It involves an era when a lot was taking place, from civil rights to our space program, from the Cold War to Vietnam, from the drug culture to women’s equality. It seemed like everything was in flux and chaos. There would be more assassinations to come-Malcom X, Martin Luther King Jr., Bobby Kennedy to name a few. Plus the Kennedy family was powerful, historical, beautiful — and perfectly flawed. They were the nation’s First Family of the National Enquirer. I guess as long as new information, new theories, or deathbed confessions come out — and as long as the public continues to buy Kennedy assassination books, they will continue to get published. If Lincoln assassination books can hit best-seller lists 150 years after the fact, then we may just see Kennedy related books continue through 2163 — and beyond. This entry was posted in Anniversary, Media, publishing and tagged JFK, john f kennedy, publishign industry, publishing. Bookmark the permalink.